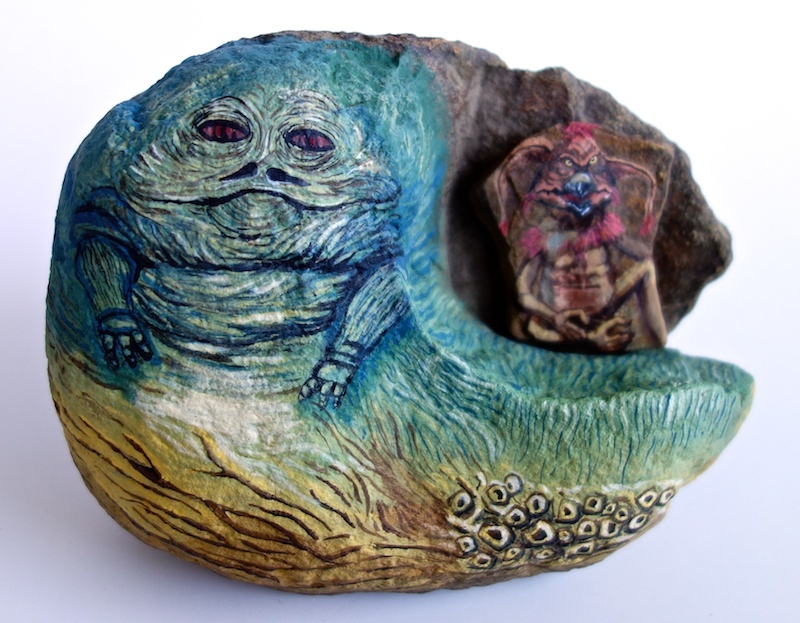 This is a rock painted to look like Jabba the Hutt, created by Etsy seller StuffOnStones, who specializes in painting on stones. I imagine half of the work is finding interestingly shaped stones and figuring out what they resemble. 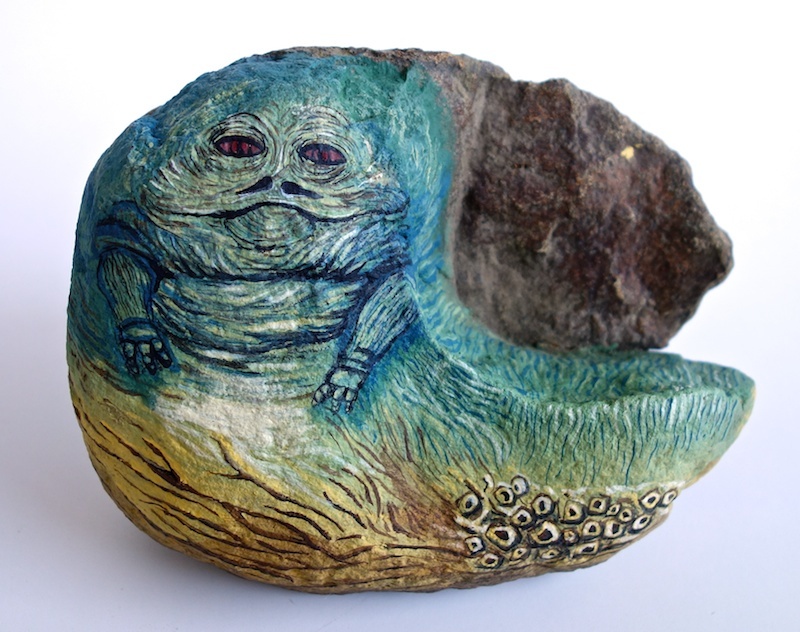 In this case, the shape of the stone lends itself surprisingly well to a Jabba, although the tail is facing the opposite direction from what we usually see. It even sits at a good viewing angle when placed on a flat surface. 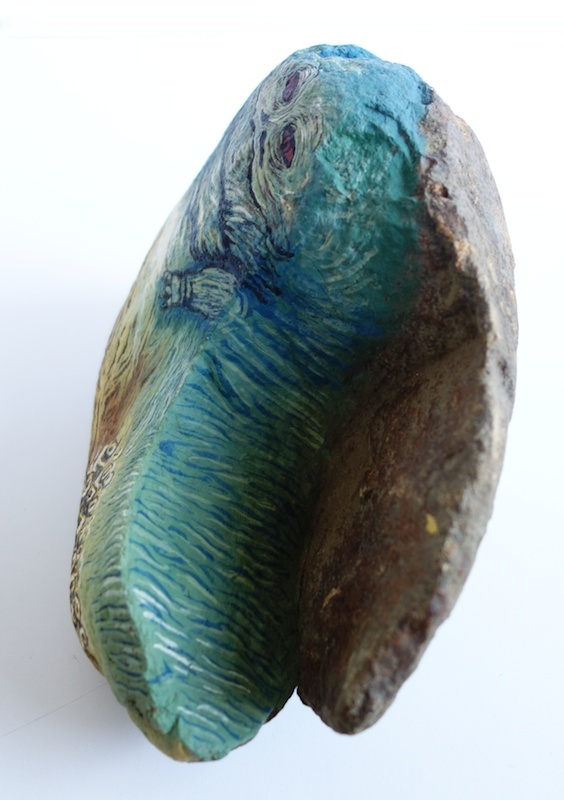 The rock is fairly large — around 7″ wide by 5″ tall and is quite heavy — it would make a great paperweight. 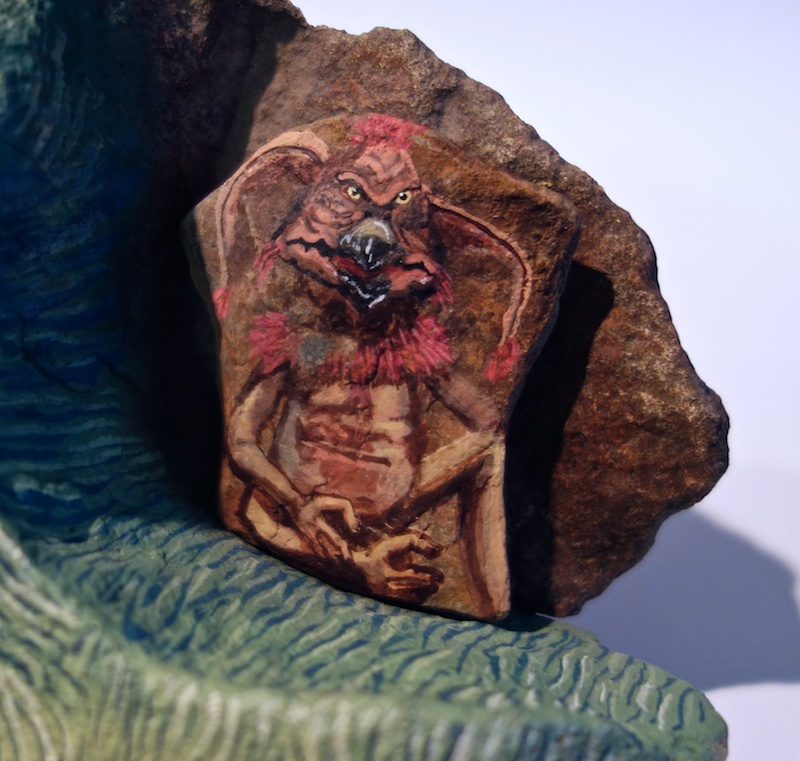 Since there is a sort of natural shelf where the tail goes, I thought it might be interesting to have a separate rock painted like Salacious Crumb that could rest on it, as you can see above. A bit of the paint on his collar area chipped off in shipping — a shame, but not too obvious.